Simple wine carrying rack ideal for use in kitchens, dining rooms, conservatories and outside during parties or barbecues. 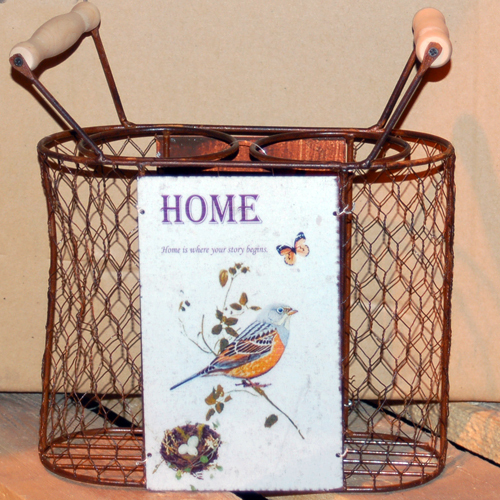 It comprises a wire mesh section with bird motif which can hold two standard sized bottles of win and carrying handles. Excellent Gift idea.